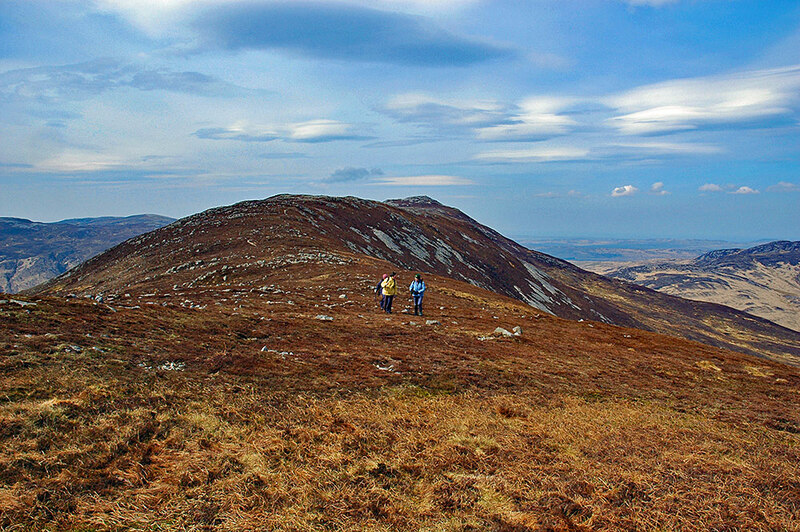 A view from an Islay walking week many years ago, three walkers on Beinn Bheigier. The summit of Islay’s highest hill at 491m in the distance behind the walkers. This entry was posted in Cloudy Weather, Landscape, New Post, Sunny Weather and tagged Beinn Bheigier, Islay by Armin Grewe. Bookmark the permalink.